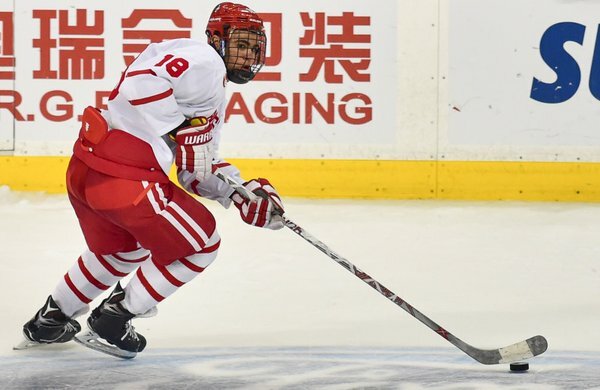 Jordan Greenway was one of six Terriers selected for the NJEC. 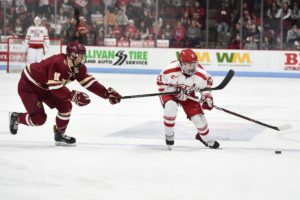 College hockey season may be months away, but there are still opportunities for Boston University fans see some of BU’s finest take the ice. On Friday, USA Hockey announced the two rosters that will participate in the National Junior Evalutaion Camp, which will be held June 30 to Aug. 6 in Plymouth, Michigan. The rosters come out a day after six Terriers were invited to the camp. 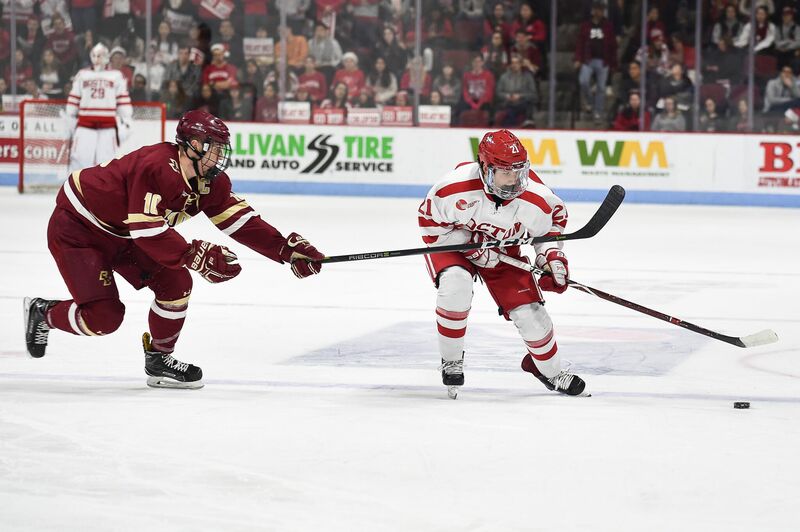 Sophomore forward Jordan Greenway, freshman defenseman Chad Krys, sophomore blueliner Charlie McAvoy and freshman goaltender Jake Oettinger have been placed on the Blue Team, while freshman forwards Kieffer Bellows and Clayton Keller will join the White Team. This will be the second NJEC for Greenway, McAvoy, and Krys. They were on the beginning roster last season with teammates Brandon Fortunato and John Macleod. Only McAvoy, Fortunato and Krys survived the final roster. 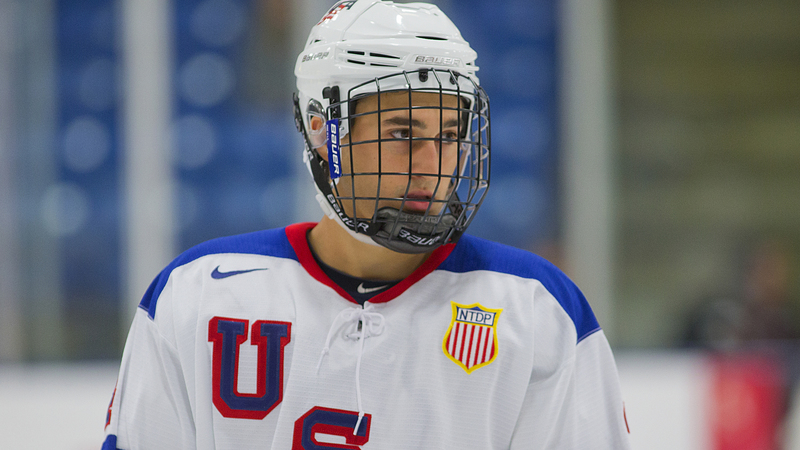 Here are the Team USA Blue & White rosters for the 2016 #NJEC. The athletes have been separated into two groups for three days of practice, as well as for games against Finland and Sweden. Team USA will trim its roster to a single team on Aug. 2 before finishing the camp with games versus Canada, Finland and Sweden. You can find the 2016 NJEC schedule here.